Data from PRS Legislative Research shows Rahul had an attendance of just 42 per cent, much below the national average of 76 per cent. Rahul Gandhi, the vice-president of the Congress and the party’s face in the 2014 general elections, was the party’s worst performer and among the bottom 30 MPs across all parties when it came to attendance in the 545-member Lok Sabha. Data from PRS Legislative Research until February 17 shows Rahul had an attendance of just 42 per cent, much below the national average of 76 per cent. MPs from Uttar Pradesh, the state Rahul represents, had a higher attendance average of 80 per cent. The data also shows Rahul participated in just two debates during the entire term of this Lok Sabha, asked no questions and brought in no private member Bills. Rahul’s interventions in this Lok Sabha include one on the Lokpal Bill. There was no response from his office until the time of going to press to an email sent by The Indian Express seeking comment on his attendance. The national average for full-term MPs for the number of questions asked was 297, and 0.8 for private member Bills, the PRS data said. The data excludes ministers since they are not required to sign the attendance register and are deemed as representing the government. Some MPs with attendance lower than Rahul include DMK leaders A Raja, M K Alagiri, D Napoleon; the Samajwadi Party’s Dimple Yadav; TMC’s Mohan Jatua, Sisir Adhikari and Kabir Suman, JMM’s Shibu Soren, BJP’s Baliram Kashyap, D V Sadanand Gowda and Vitthalbhai Hansrajbhai, among others. Among MPs below the age of 45, Rahul’s attendance is only the sixth from the bottom. The data, on the other hand, shows D K Suresh, K P Dhanapalan, Pratibha Singh and Ramesh Kumar from the Congress have recorded 100 per cent attendance. 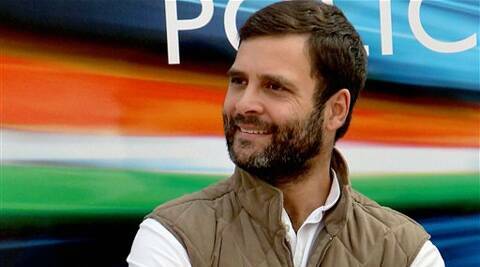 Rahul is co-chairman of his party’s campaign committee for the Lok Sabha polls along with his mother and Congress president Sonia Gandhi, and is leading the party in the forthcoming polls. The 15th Lok Sabha, which was in session for the last time Friday, has been the least productive since 1962, with productivity defined as the number of hours it met of the number of hours it was required to meet.